Whimsy by Shellye: Christmas Card Blog Hop! for cute and sweet or frilly and sophisticated, we have the ideas covered! And don't forget to stop by the May Arts' Blog and leave a comment! From May Arts I've used the Mini Pom Pom Trim and Checked Ribbon. Paper and birdhouse from Martha Stewart Crafts; buttons by October Afternoon. Enjoy this day of Christmas Card inspiration! Love it!!!! I just hope my bows come out that cute. Thanks 4 sharing. What a cute idea for a Christmas tree. The bird house as the tree topper is great. Love all of the little bows. The green buttons and the red pompom trim really set everything off. Great job. Love your ribbon tree! Beautiful card!! Love the tree made out of ribbon. Great idea! 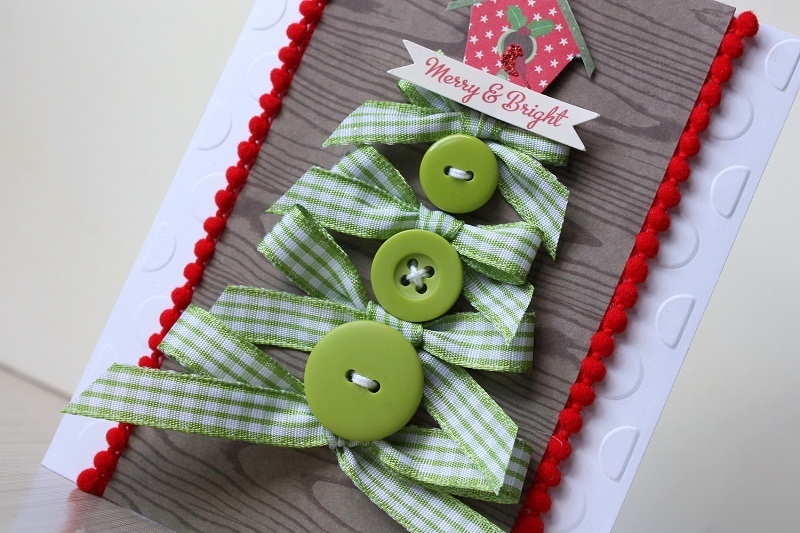 What an adorable button and bow tree!! Very cute and creative tree. This tree is so fab! Love all the trimmings! 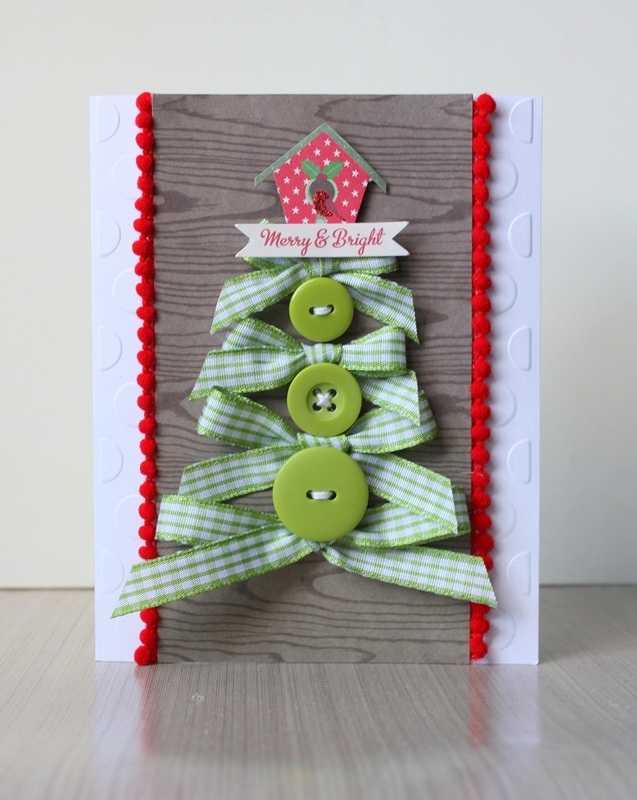 THANK YOU for sharing your crafty Christmas inspiration!!! This is so cute. I am definately going to do this one! Thanks for the inspiration. So cute - love the ribbons and buttons.